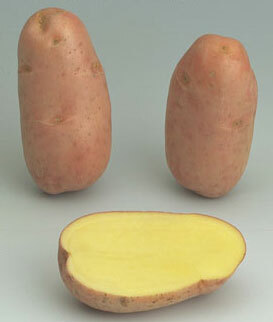 fairly regular red, pale yellow flesh. Sprout: Red dark purplish, conical, quite low hairiness. Leaf: Dark green; leaflet fairly large, oval.